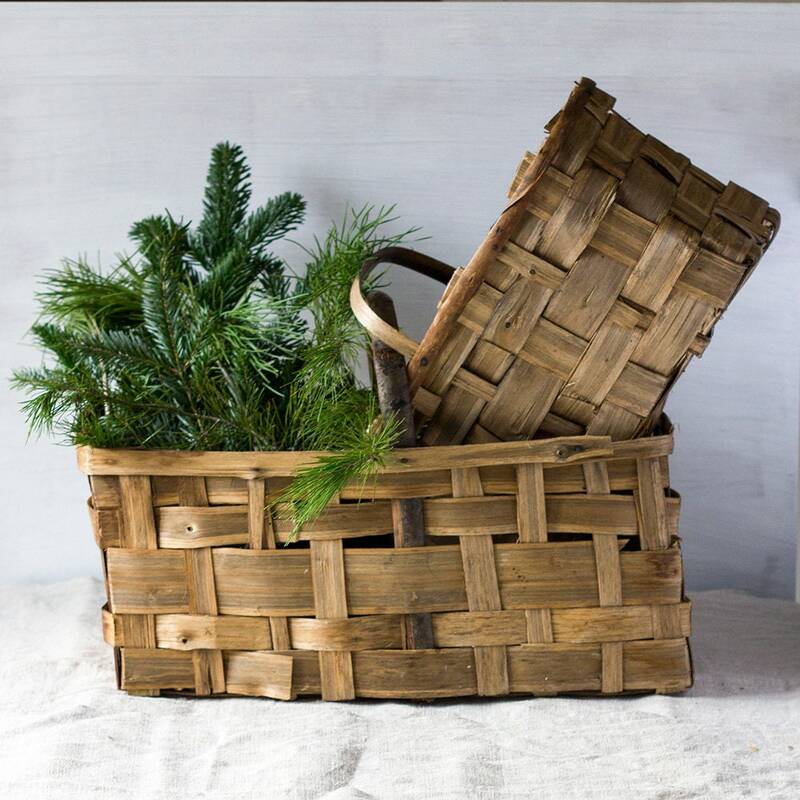 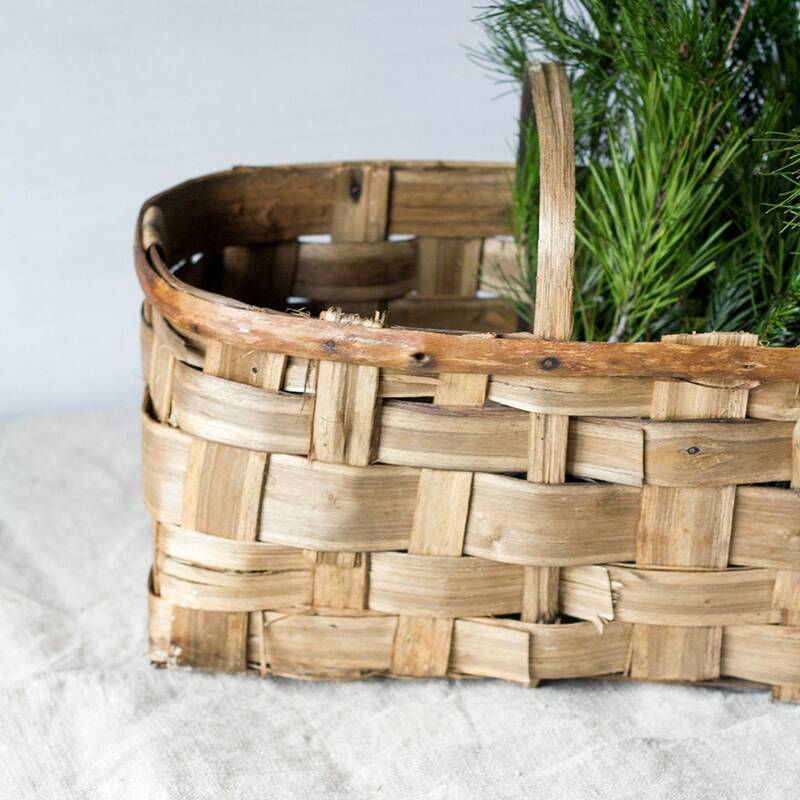 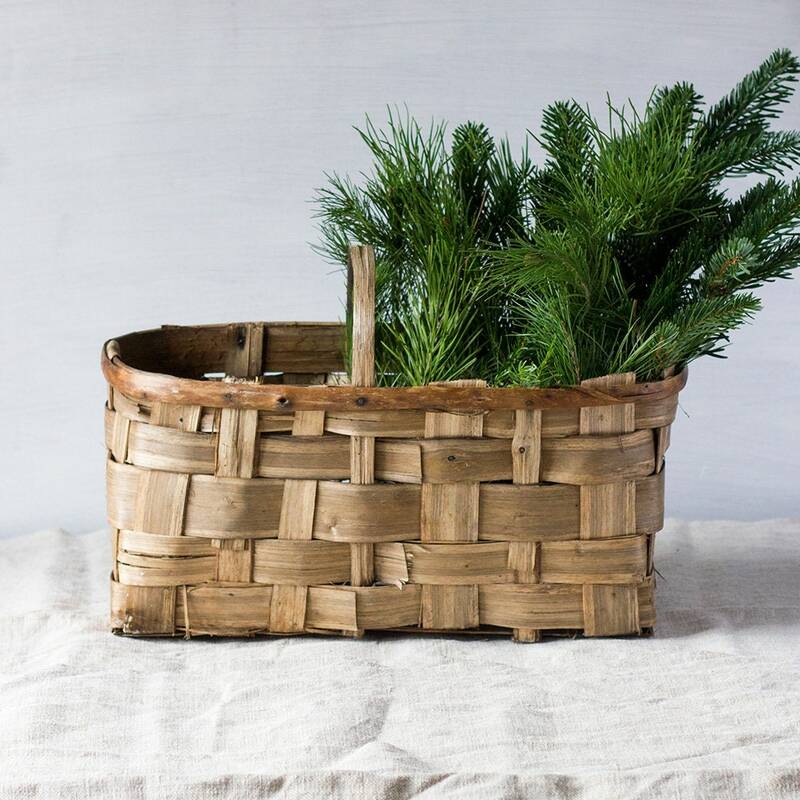 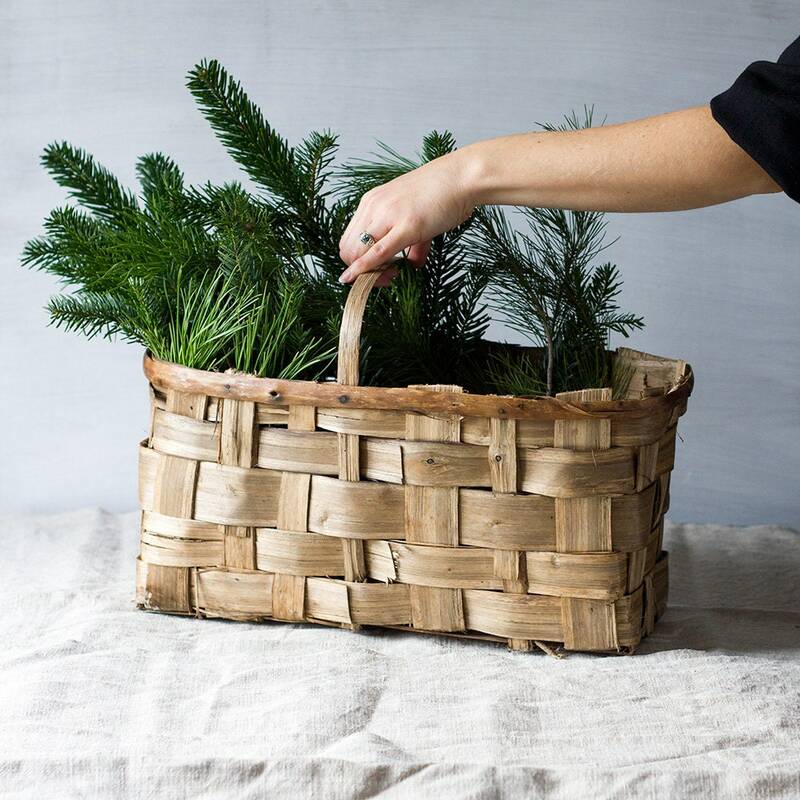 These gorgeous French baskets are woven from thin strips of chestnut wood and finished with a half stick bentwood handle. 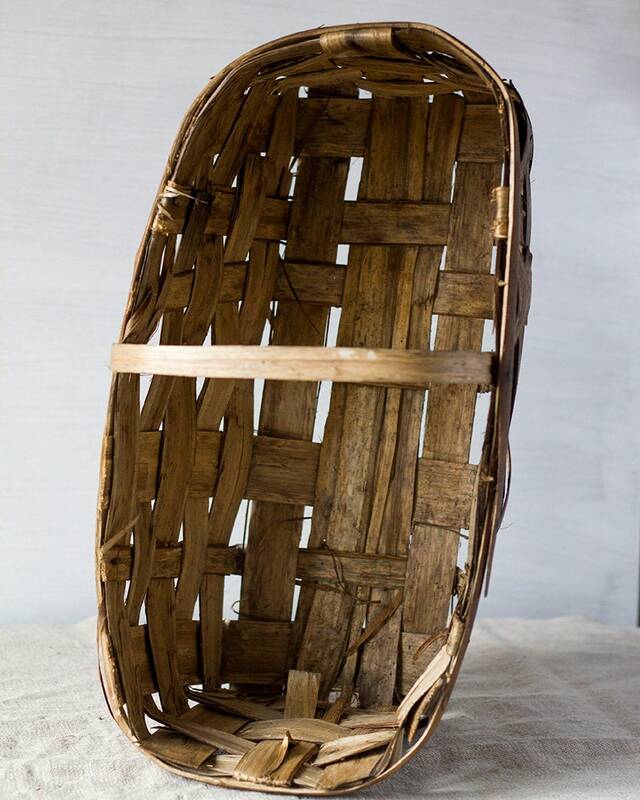 They come from the Perigord region of France and would have been made for harvesting truffles (the smaller size) and mushrooms (large). 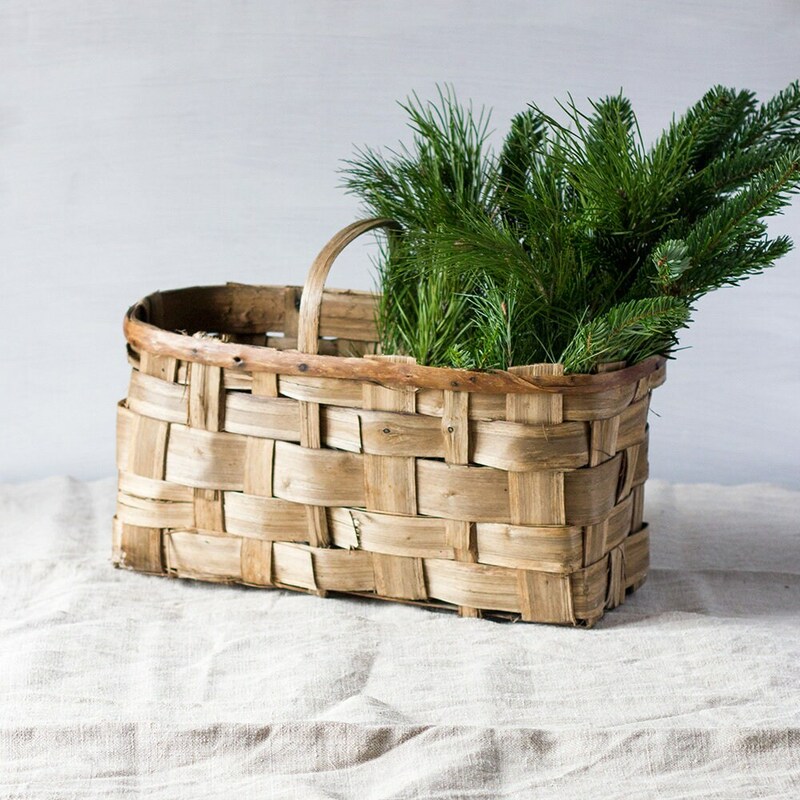 Absolutely stunning for holding fresh produce in the kitchen, greenery for decoration, or just as they are. 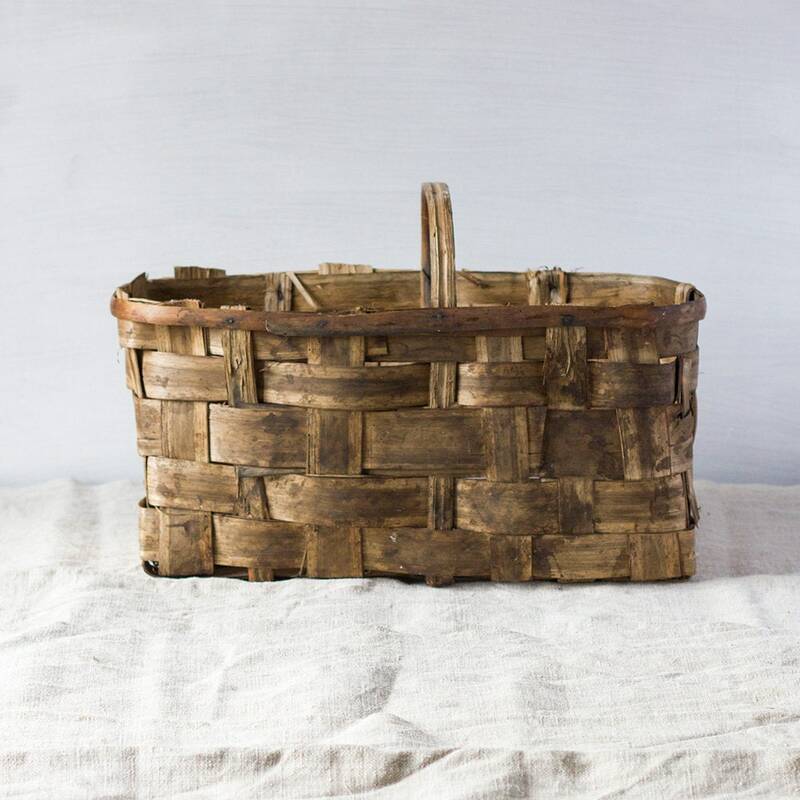 Listing is for 1 small basket. 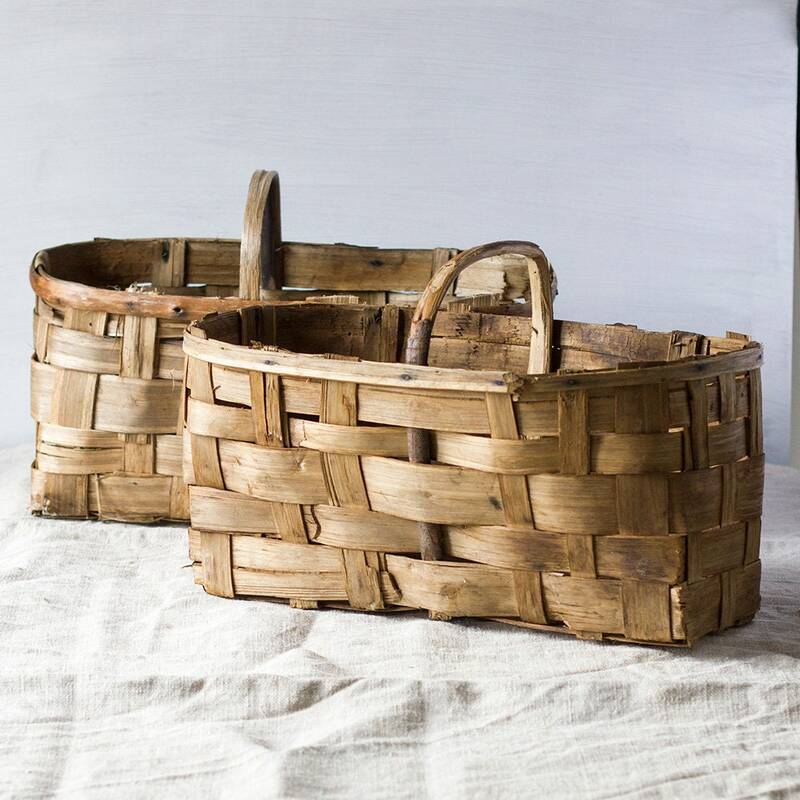 Two sizes are available small or large (https://www.etsy.com/listing/664698259/vintage-french-woven-wood-harvest / https://www.brocantemoderne.com/listing/664698259/vintage-french-woven-wood-harvest).